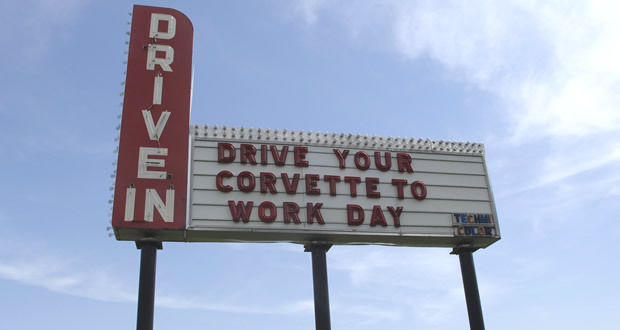 EFFINGHAM, Ill. (June 03, 2014) – Friday, June 27th marks the 14th Annual Drive Your Corvette To Work Day, sponsored by Mid America Motorworks. To celebrate Drive Your Corvette To Work Day, enthusiasts across the United States are encouraged to make “America’s Sports Car” their commuter car for the day. Every year, the Friday closest to June 30 – the day the first Corvette rolled off the assembly line in 1953 in Flint, Mich. – is chosen to observe Drive Your Corvette To Work Day. Mid America Motorworks promotes Drive Your Corvette To Work Day among Corvette owners and clubs. The goal is to have as many Corvette owners as possible drive their car to work that day. Launched in 2001, Mid America Motorworks’ Drive Your Corvette To Work Day is an annual event celebrated by thousands of Corvette owners worldwide. Corvette owners who observe “Drive Your Corvette To Work Day” are encouraged to share high resolution digital pictures of their car at work to www.facebook.com/corvettepassion or send them to clubs@mamotorworks.com. Happy cruising!